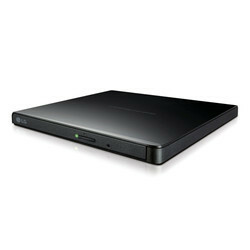 Prominent & Leading Wholesale Trader from Mumbai, we offer lg ultra slim portable dvd writer. The LG BP60NB10 Slim Portble Blu-ray / DVD Writer features USB 2.0 connectivity with a 6x BD-R write speed and M-DISC support. Simply plug in and record up to 100GB of files, photos, or business documents onto a BDXL(triple layer) disc. With Blu-ray, DVD and CD burning capabilities, the BP60NB10 gives you the option to choose the media best suited for each task.